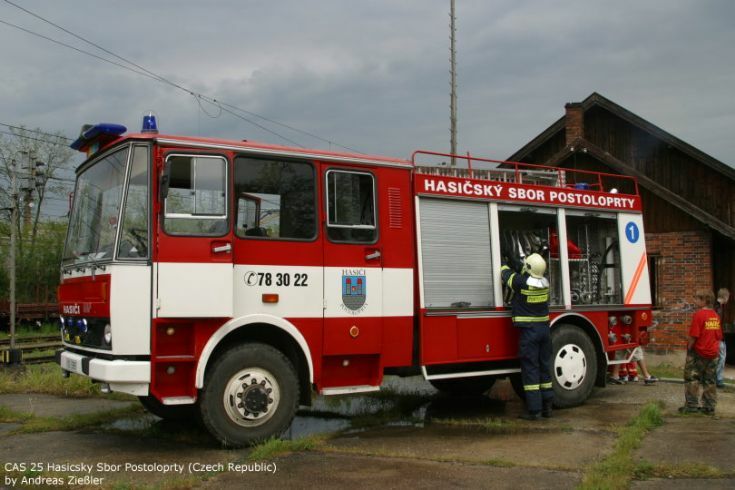 A CAS 25 "Cisternova automobilova strikacka" (water tender) with a pump performance of 2500 litre per minute. The bodywork is from Karosa. Manufacturer Liaz. The big Crew Cab is made for 9 FF. Added by Rob Johnson on 18 April 2019.